While some AVI files will work fine, many will not play properly on the Quicktime application that comes with your Mac. Fortunately there are ways to get your AVI files working with third party software or plugins. 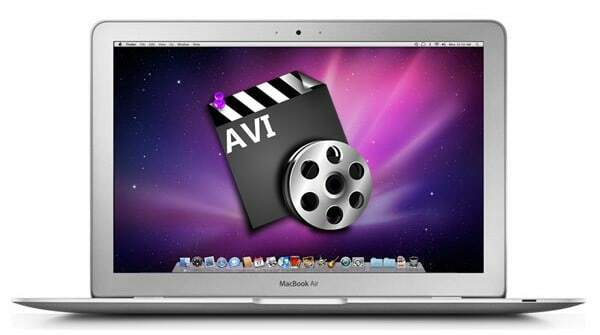 So read on to find out how to watch AVI files on your Mac! The first option is to download a Quicktime plugin called Perian. This plugin will add onto Quicktime, allowing Quicktime to play many other file types, AVI being one of them. So if you want to give it a try simply download the plugin by clicking on the icon. Once installed Perian will show up as a pane in the system preferences, and you will now be able to watch AVI files using Quicktime! The second option to play AVI files on your Mac is to download the VLC player. VLC is an open-source media player that plays many more file types than Quicktime, including AVI. To download the application for free click here. Once downloaded, simply right-click on the AVI file you want to play and select “open with > VLC player” and the file will play in VLC rather than Quicktime. If the file you want to play is short, another option is to use an online video converter to covert the AVI file to a MOV one that can be played by Quicktime. One such site you can use is this one.